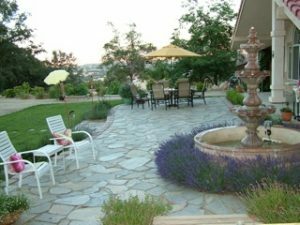 The unusually warm weather here in Tehachapi the last week or so has ushered in a glorious spring! 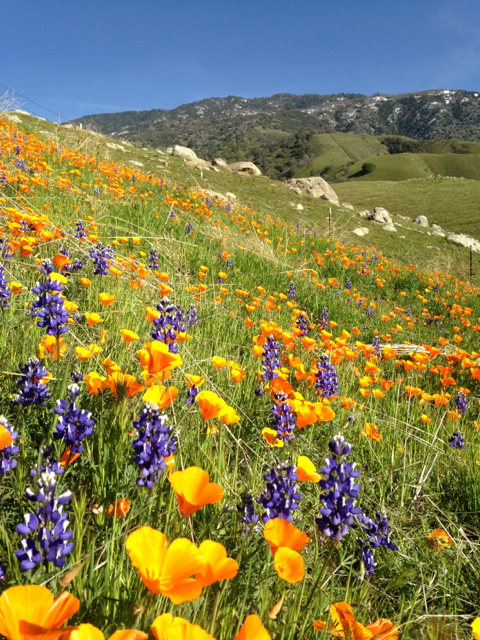 Near Tejon Ranch, on the way to Arvin, I took this picture of California Poppies and Lupines. We drove down the road a bit and these verdant hills captured my heart! Yesterday the Forsythia and Daffodills put on quite a show in my West Garden. 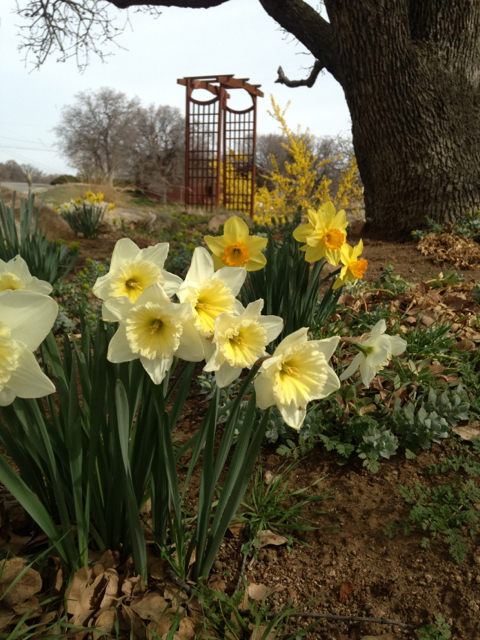 Multi-colord daffodils shine, with Golden Forsythia in the background. 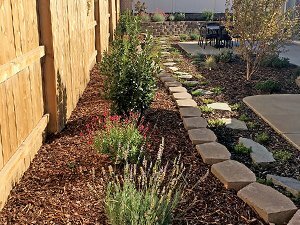 In the East Garden Lavender colored Catmint (Nepeta faassenii) Blooms along side Chartreuse Myrtle Spurge (Euphorbia myrsinites). 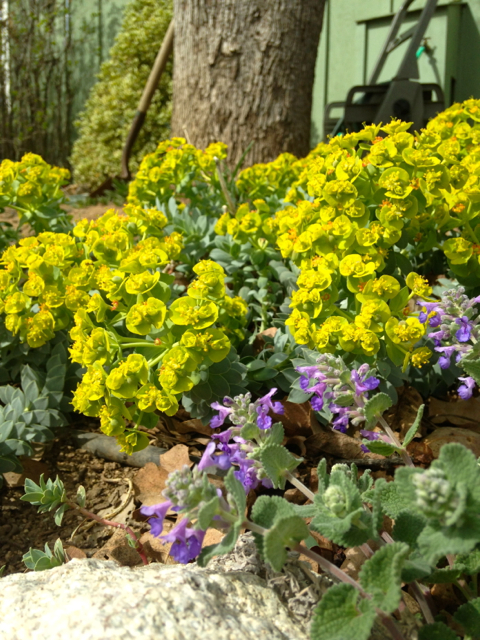 Spring blooming Catmint and the chartreus blooms of Myrtle Spurge make a glorious display! 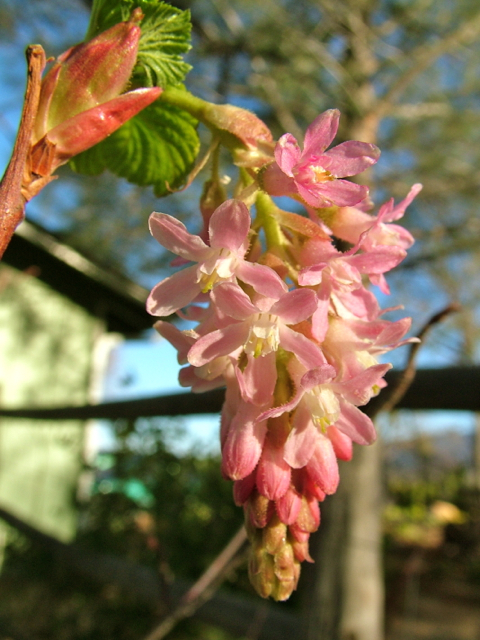 The back yard is featuring the beautiful Flowering Currant (Ribes sanguinea) right now. 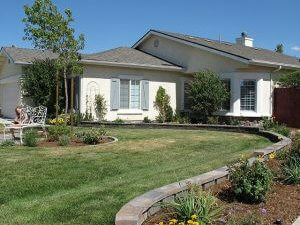 Spring is here Tehachapi. Cheers!